The best wind conditions are in the summer time – from June until September. That is when famous Meltemi wind starts to blow. Although it might sounds more like an Ancient God’s name, in fact means nothing else than „seasonal wind”. 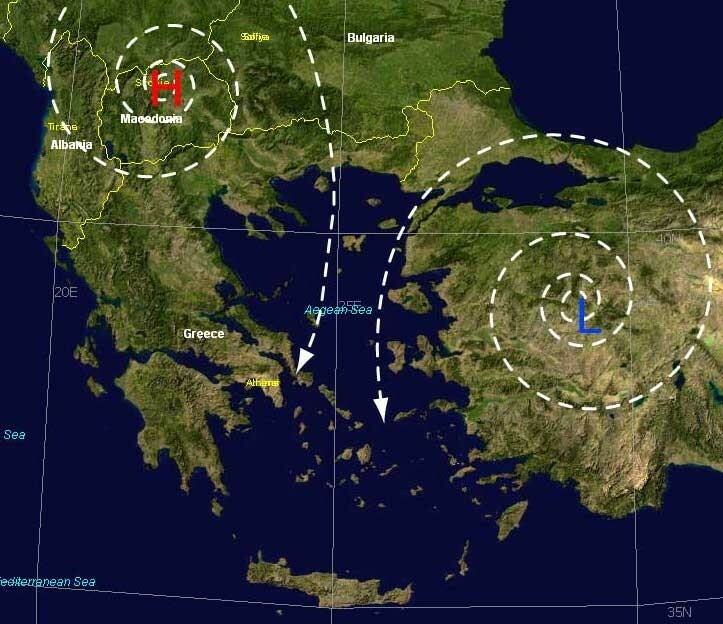 Meltemi wind is created by High Pressure over the Balkans and Low Pressure over Turkey. 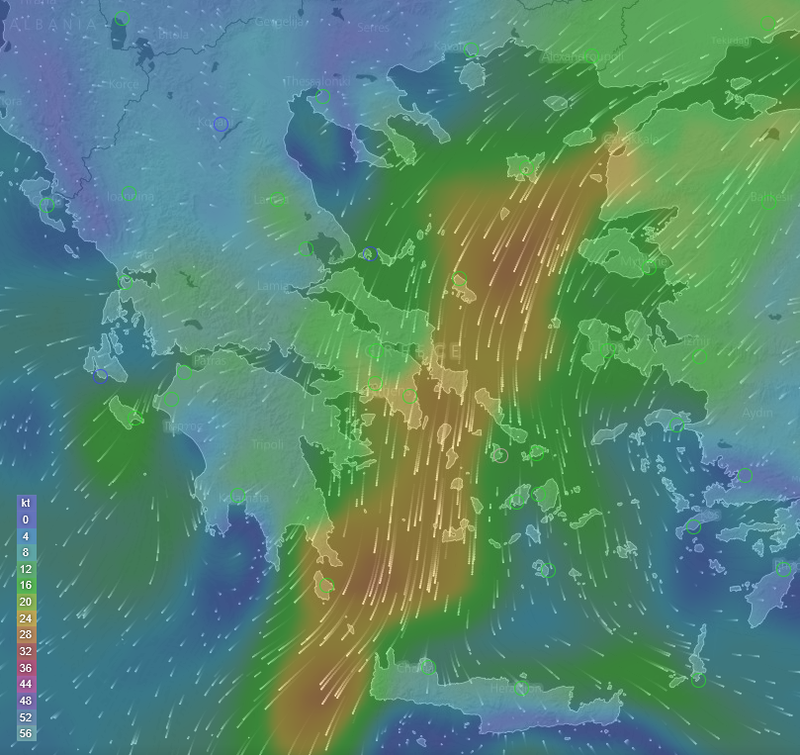 The wind is then channeling between islands and mountain valleys delivering wind speed between 15-26 knots. Meltemi is typical for the summer season – between June – September with August and July being the strongest months. On a typical day it will start in the late morning and die out with the sunset. During strongest months we also experience constant wind for several days – when it does not die out during the night, but actually increases and carries on to the next day. 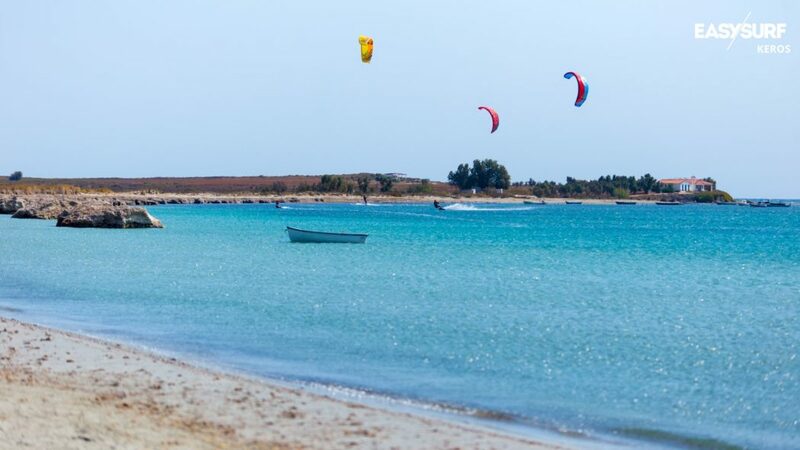 Meltemi always blows from the North / North – East direction and is indicated by low humidity, cooler northern air and great visibility – fantastic for kitesurfing with a view, and for great photographs. South wind sporadically occurs in May or at the beginning of June. 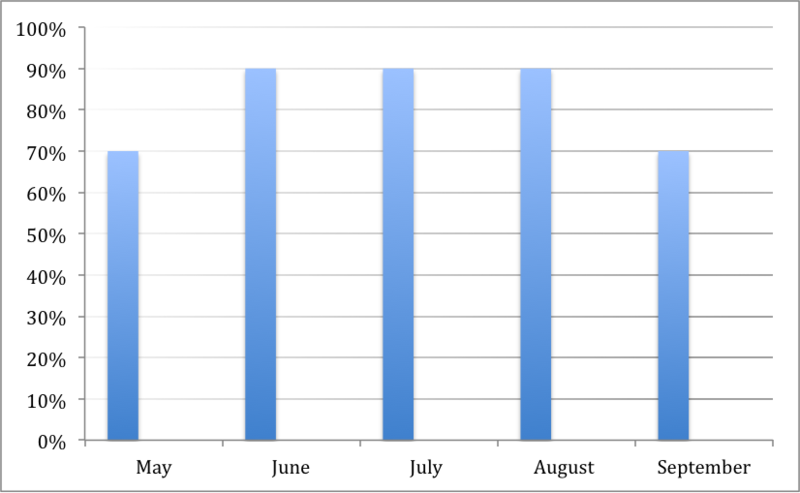 Wind statistics can be seen on the chart below. Meltemi usually blows 5 -6 days in a row. Then it slows down for a day or two. 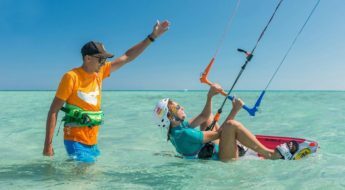 Mornings are stronger and it will slow down during the day to become quite light in the afternoon – great for newbie windsurfers.